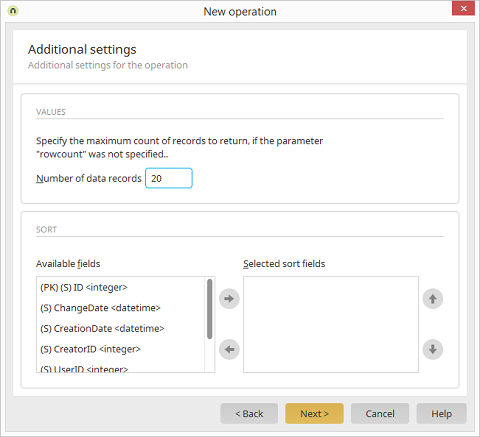 If you have selected the operation type List and the parameter rowcount is not defined as an input parameter, the maximum number of returned data records can be defined here. Every field that can be used for the sorting is listed here. The fields listed here sort the data. You can define whether the fields should be sorted in ascending or descending order via the context menu. Adjust the order of the sort fields.